A few weeks ago I had dinner with one of my favorite food bloggers, Isara of Alone with a Cupcake, at Picco in the South End. 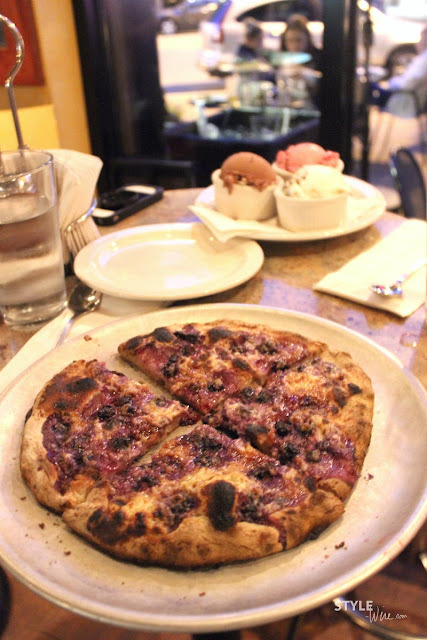 We chatted about food blogs, events, and Socii over amazing pizza, ice cream, and of course, a glass of wine. Picco is in the heart of the South End and I immediately vowed to come back for date night. It's relaxed atmosphere and the flow of people stopping in for a quick ice cream cone makes for a semi-casual, but delicious meal. 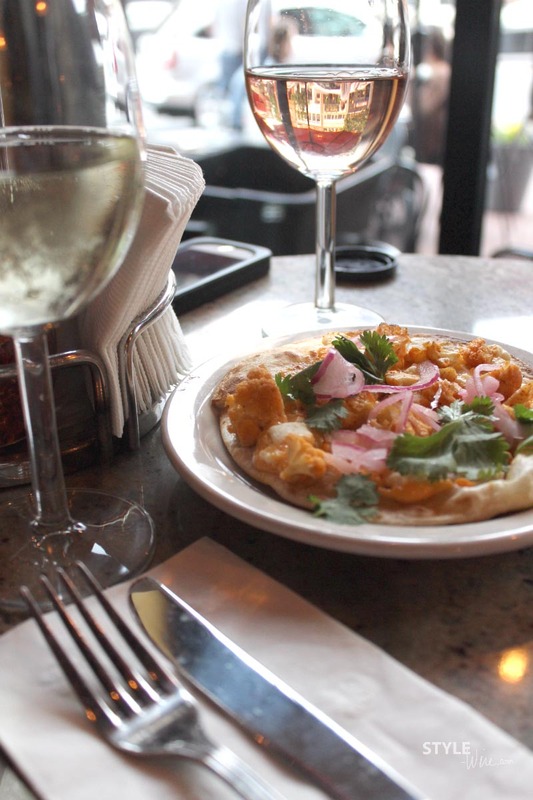 First up, was the roasted cauliflower gordita with spicy aioli and cotija cheese. I could eat cauliflower for the rest of my life if it were always this deliciously prepared. Roasted and seasoned it was certainly not what I expected! There was maybe a little too much cilantro, the flavor was slightly overpowering the onions and cheese. 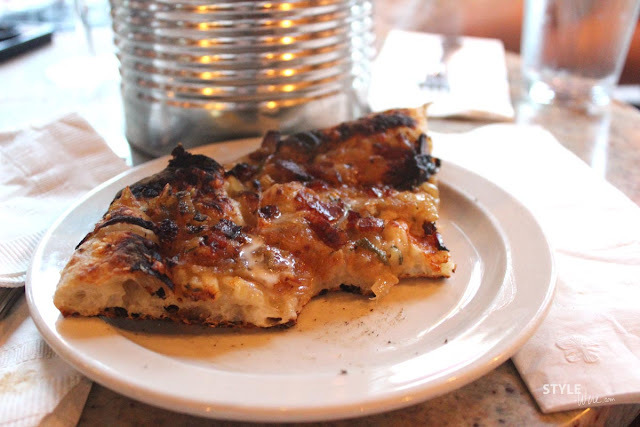 Next up was the pizza that Picco is known for; well-done and crisp. Perhaps not to everyone's taste but you can request it lightly cooked. Isara and I really loved the pizza. 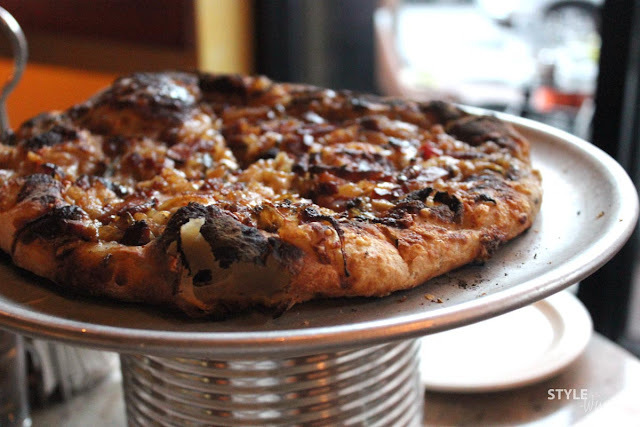 We tried the Alsatian with sautéed onions, shallots, garlic, crème fraiche, bacon & gruyere cheese. Uhm, hello, bacon. Enough said. Although, the hint of rosemary was a nice touch. After that pizza quickly disappeared we ordered dessert; a blueberry and ricotta pizza for me, and the ice cream sampler for Isara. The dessert pizza was yummy without being too sweet, and I definitely ate the whole thing... Isara tried the raspberry chip, peanut butter chip, and dark chocolate ice cream. The chocolate was extremely decadent and rich while the peanut butter was nutty and smooth. The raspberry chip was definitely the favorite but I'm partial to anything with fruit flavors. Their ice cream is so rich and smooth it's almost like gelato. Is your mouth watering yet? Everything was so delicious I can't wait to back and try another pizza and different ice cream flavors! 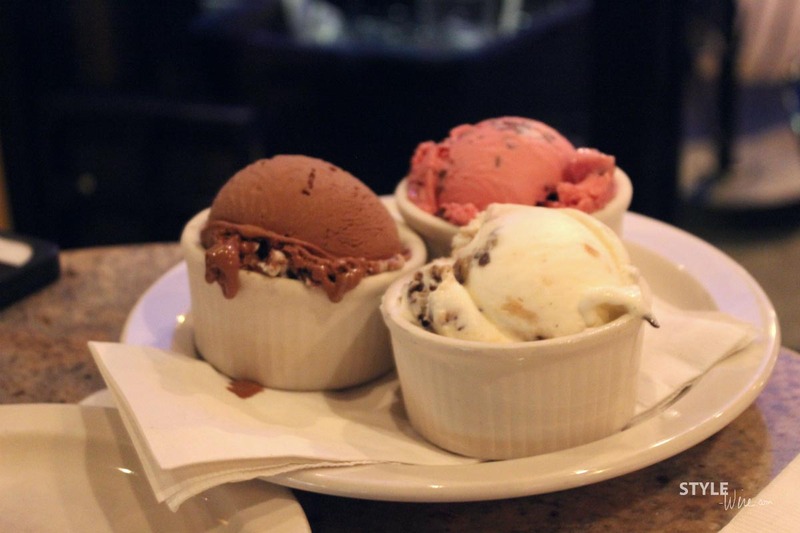 Next time you're in the area, definitely stop by Picco, even if you just pop in for an ice cream, it's worth trying. You can check out their menu here. Picco is located at 513 Tremont Street in the South End.